Whisky distilleries are a bit like when you try to blend up a banana smoothie in your kitchen using only an overcharged power tool and manic enthusiasm- they get everywhere. The more we try to tighten our grasp on them here in Scotland the more slip through our fingers. They pop up everywhere from Japan to Canada. It all begins in 1822 when Australia’s first distillery opened*. After a few fruitful years of fantastic production another two distilleries decided to embark on the adventure as well. 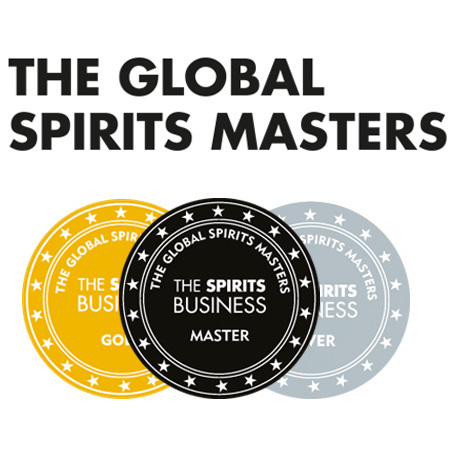 That was until the late 1830’s when the evil Van Diemans Land governors piled pressure on the distilling industry and all three of our intrepid pioneers were forced to close their doors. Come 1839 distilling was outlawed all together with brewing local beers becoming the main priority. This remained unchallenged for 150 years! Enter stage right Bill and Lyn Lark. Looking at their surroundings they realised that Tasmania was prime for making whisky- excellent barley, fresh water, an abundance of peat and immeasurable amount of sheer passion. Their first hurdle was of course the law. A few changes had been made to the law with the passing of the distilling act of 1901. The Lark’s, however, were bound by law to use a still with the minimum capacity of 2700 litres. To put that in perspective the minimum capacity for a still here in Scotland is 1800 litres. Quite a big difference you might say. Tough times again for the small family with a big dream. Here our tale moves from a small underdog story to a high tension court room drama. The Lark’s contacted their local MP to try and change the law. A heart wrenching plea convinced the local politician to start lobbying their cause. In 1989 Mr. Lark received a communication to tell him that “Steps will be taken to relax the Distillation Regulations to provide greater flexibility with regard to the capacity of stills.” The Lark distillery could open! It also led to a whole host of distilleries opening all over Australia and Tasmania. So here we are now! 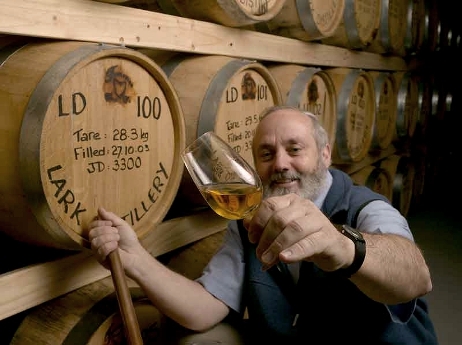 The Lark distillery now produces roughly 14,400 litres of whisky a year. They have become innovators in both the process of adding peat to their whisky and the manufacture of copper pot stills in the southern hemisphere. It really is the little distillery that could. One thing that really set’s Lark distillery apart is their use of 100 litre casks. The smallest cask used in Scotland is 190 litres. With this and the much more civilised climate in Tasmania it means the whisky can pick up mature flavours a lot quicker. Nose: For 58% it’s surprisingly (and pleasantly) soft. Sweet straw, light artificial strawberries (like an Opal fruit! ), light smoke. Palate: Wow! Rich sweetness that takes over the palate. Milk chocolate covered cereal bars, gentle berries and that light smoke creeping up again at the back of the throat. Finish: The smoke lingers while the sweetness subtly subsides. Person: I think I’ll go for Cate Blanchett- subtle but with an unmistakable presence. Honestly, I could have written so much more about this distillery and I will in the future. I have a future article in mind about innovations and after what I’ve found here I’ll certainly be talking about Lark distillery a bit more. The little distillery that could. *Please note that some the information, though true, may have been sensationalised to make the post seem a bit more dynamic. 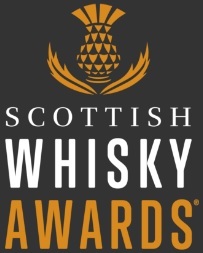 Edinburgh Whisky Blog never means to offend (although we tend to on a semi-regular basis). Take it all with a pinch of salt, yeah? This entry was posted	on Friday, October 14th, 2011 at 11:48 am	and is filed under Reviews. You can follow any responses to this entry through the RSS 2.0 feed. Responses are currently closed, but you can trackback from your own site.